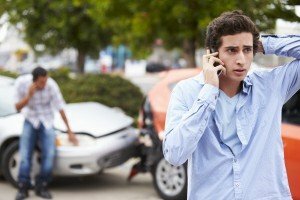 What do I do when I’ve been involved in an auto accident in Fort Worth? Our Fort Worth Auto Accident FAQ’s address situations and questions that we often encounter. If you are involved in a car accident, you should remain on the scene. Failure to do so could result in criminal charges. If you leave the scene of an auto accident, you could face criminal charges. The first thing you should do is determine whether you suffered any injuries because of the accident. If you need immediate help, call 911. After you have made sure that you are okay check to see if the other people who were involved in the accident are injured. You should call for help if anyone is hurt. Do not get out of your vehicle if it is not safe to do so. If it is safe to get out of your car, take pictures of the accident. These pictures could help you later in a personal injury case. After you have taken pictures of the scene take some time to clear the roadway. Your car may become a traffic hazard if it is left in the road. Next you should exchange information with the other people that were involved in the accident. Take down the names, insurance information and contact information of each person that was involved in the accident. You may need to call the police if someone has fled the scene, or if someone is unwilling to exchange information with you. If the police arrive at the scene ask to file an accident report. You should not admit liability after an accident. The liability of the parties involved in the accident will be determined later. Yes, you should notify your insurance company of the accident in a timely manner. Most insurance companies require policyholders to report any auto accidents that the policy holder was involved in. What happens if I do not report the accident to my insurance company? If you do not report the accident to your insurance company, you may lose your coverage for uninsured motorists or underinsured motorist. The exact consequences of failure to report will vary depending on the policy. What should I report to my insurance company? You should report the basic information relating to the accident that you were involved in. If you feel like your insurance company is trying to take advantage of you consider hiring a personal injury attorney to assist you in contacting your insurance company. You can attempt to notify the other driver’s insurance company in order to receive compensation, but you are under no obligation to do so. Before you reach out to the other driver’s insurance company you should consult with a personal injury attorney to help you determine how to approach the other driver’s insurance company. If your insurance company requests a recorded statement, you may be required to cooperate depending on the terms of your policy. However, you should not give a recorded statement to the other driver’s insurance company. Before you give an insurance company a recorded statement, you should consult with an attorney. Your attorney will be able to advise you of the consequences of what you say on the recording. Remember that you do not have to take to the other driver’s insurance company. If the other driver’s insurance company calls you, you should give them the contact information of your lawyer. If you do chose to speak to the other driver’s insurance company remember that you should not admit liability. What should I do if the other driver’s insurance company denies liability? Insurance companies often deny liability in order to avoid paying claims. If the insurance company denies liability, you will have to prove that the other driver was responsible for your injuries. Proving liability can be easy in some circumstances. However, if liability is not clear you may have to hire a personal injury attorney to assist you in proving that the other driver is responsible for your injuries. Why does my attorney need a copy of the police? Your attorney can use the police report to get information about the accident including information about the other driver, and the other driver’s insurance company. Your attorney can also use the police report to determine whether the police report is accurate. It is important for the report to be accurate because it can be used later in a personal injury trial. What do I do if the police report is inaccurate? If the police report is inaccurate, your attorney can assist you in correcting the report. This process begins when your attorney contacts the investigating officer. Should I release my medical records to the other driver’s insurance company? You should not release medical information to the other side. If you are asked to do so notify the other party to contact your attorney. Do I still need to see a doctor after my automobile accident if I do not believe I was injured? Even if you do not believe that you were injured in an auto accident you should still visits a doctor. This is because common auto accident injuries, such as whip lash, do not develop until weeks or even months after the auto accident occurs. Who will pay my medical bills if I have been injured in an accident? The responsible insurance company should pay your medical bills. If the insurance company disputes liability you may have to file a personal injury case to receive compensation. Many plaintiffs use their health insurance to pay for medical bills and then seek reimbursement after receiving money from the auto insurance company. What should I do if the other insurance company refuses to pay for my bills? Insurance companies often attempt to claim that they are not liable for accidents. If you need help dealing with an insurance company you should call an accident lawyer at Hutchison & Stoy. PLLC today at (817) 820-0100 to receive a free consultation. If your questions weren’t answered in our Fort Worth Auto Accident FAQ’s, please visit our page on what to do after a car accident.